Robotics is a great way to provide students with a more hands-on technological education. 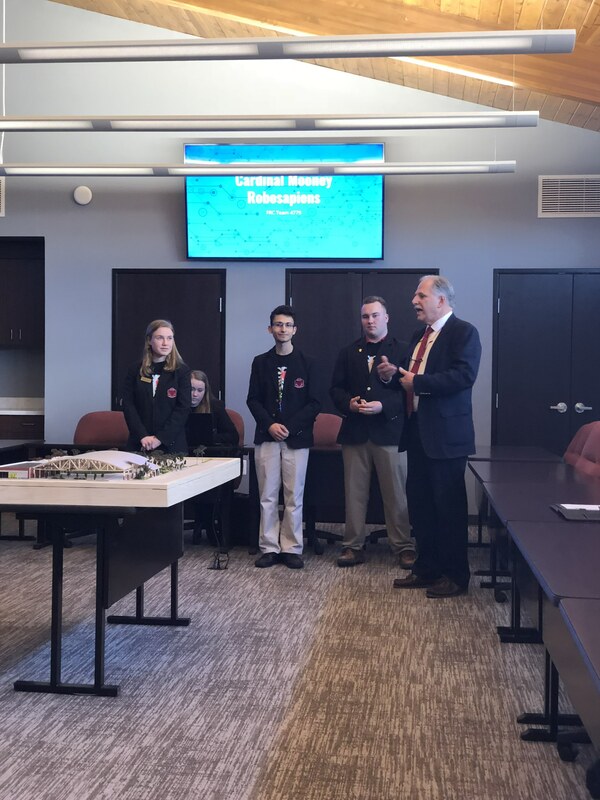 PTM Corporation takes great pride in their involvement with students at Cardinal Mooney High School Robosapiens Robotics Team. The PTM ownership allows the team to utilize their facility as a home base for the students, their mentors and coaches to help the students with their First Robotics 2018 robot by allowing them to house their equipment as well as design, build and testing. The First Robotics program has made learning so much more fun with the students having a hands-on approach. Robotics projects are cool for all student groups. Students from different majors can work together on one robot project and learn from each other and their adult mentors and coaches. 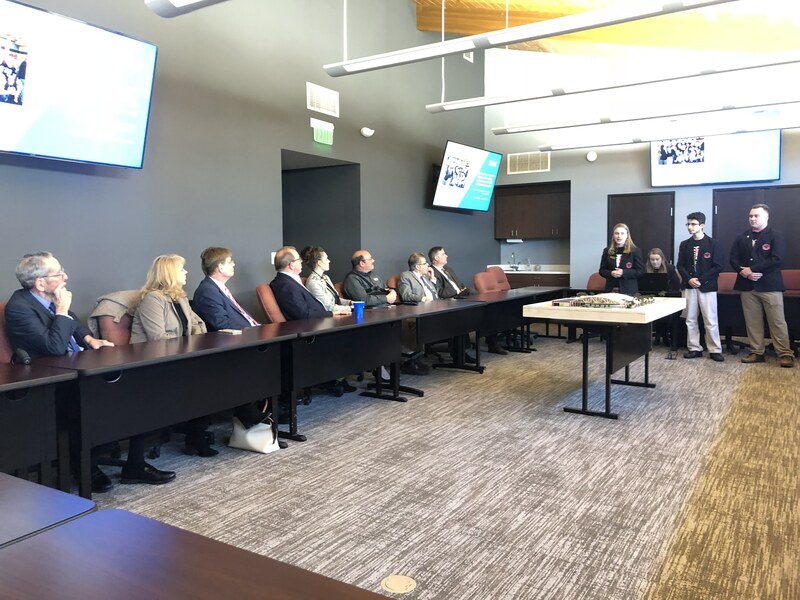 With robotics learning, students will be better prepared for college or if the high school student takes another higher education route through on-the-job training. With newer technologies and growing robotics demand in the world, bringing robotics into the K-12 education system seems like the right way to go. With various robotics projects in high schools and universities, students will have the chance to work on a real physical system, like the ones found in the industry as well as deal with the manufacturers. Real world experience is as important a tool as textual learning and PTM Corporation is happy to be contributing to this relevant cause while building the future workforce. The Robosapiens are a robotics team out of Cardinal Mooney Catholic High School in Marine City, Michigan. They have participated in the Michigan district robotics competition every year since 2012. Their mission is to develop skills and expand real-world experiences in an electrifying environment and generate leaders and innovators in the STEM field. The Robosapiens recognize the need for increased interest in the mathematics, science, and technology fields among students, not only in the state of Michigan but in the United States. They have an organizational structure similar to a company. 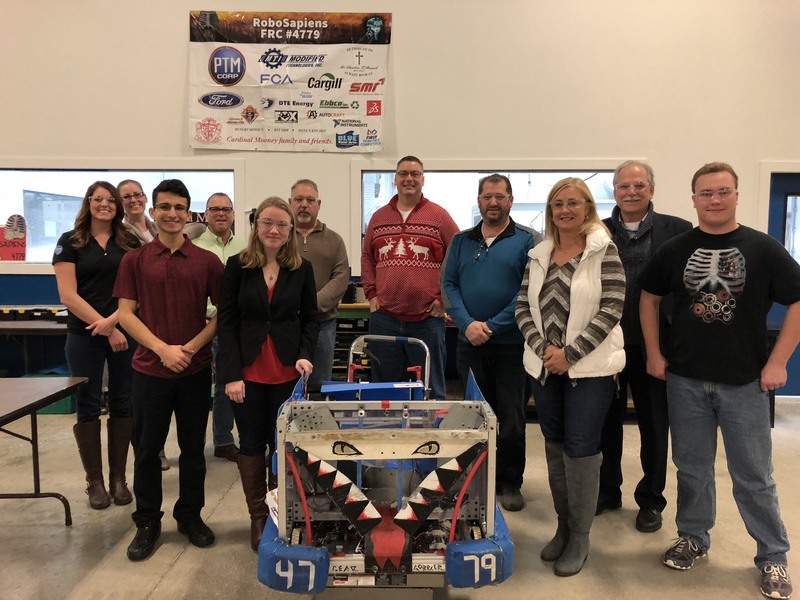 The Blue Water Area Robotics Alliance (BWARA) is a group of Robotics teams in St. Clair County working together to further STEM education and careers. It is by far the closest program they have for the students to get hands-on learning. It enables students to learn about designing a product as well as its business and marketing planning complete thru making the details for the robot to full tryout and meeting deadlines for their competitions. Students build robots to participate in a competition under strict deadlines and within a given budget. Students at the Cardinal Mooney Catholic High School are currently preparing to participate in the regional Robotics event at Marysville High school April 6 & 7. PTM Corporation has been producing metal stampings since 1972 and is looking forward to sponsoring the Robosapiens team at the upcoming event.